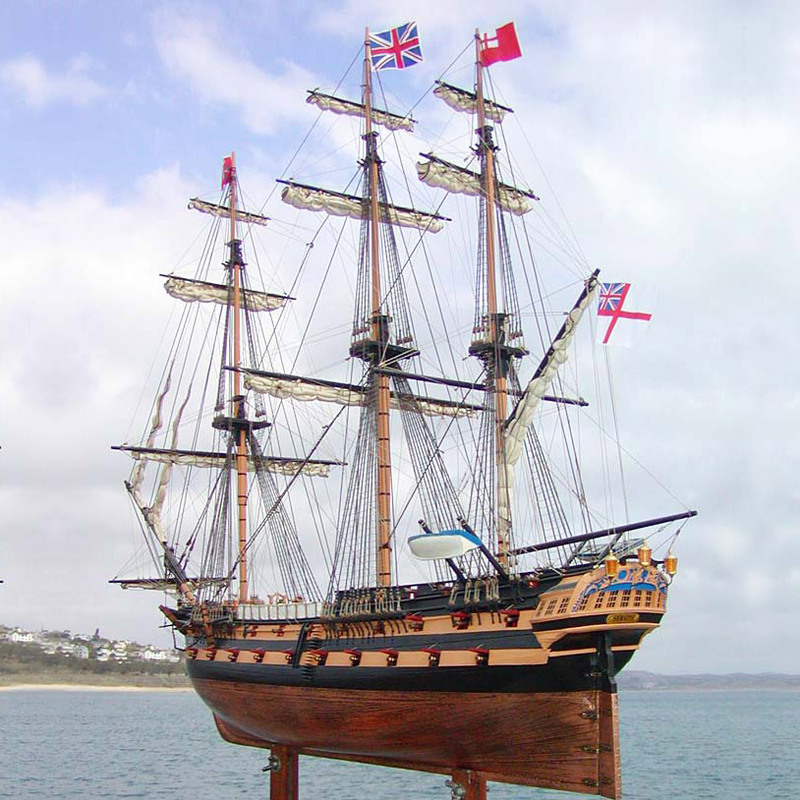 HMS Serapis was a British frigate launched by the Royal Navy in 1779. 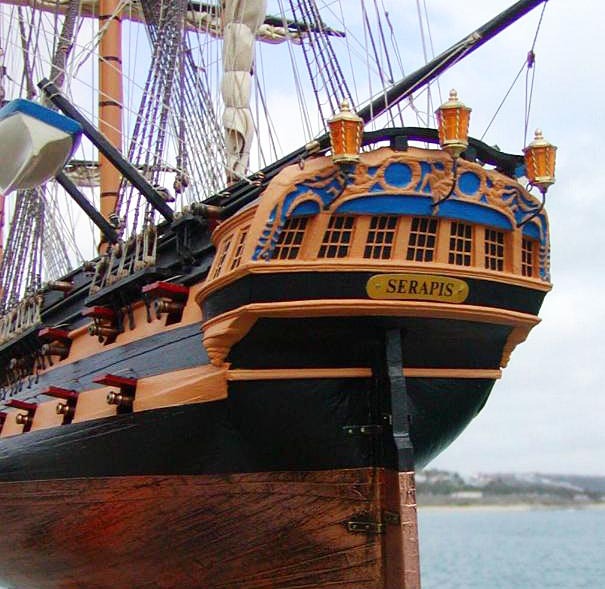 The vessel was named after the god Serapis in Greek and Egyptian mythology. 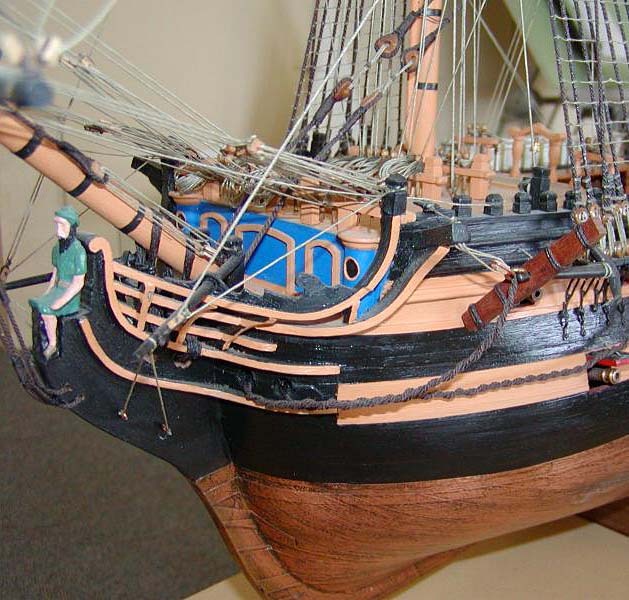 The vessel was captured by Americans during the American Revolutionary War. Jones sailed to the neutral United Provinces (the Netherlands), but diplomatic complications arose because the Dutch authorities did not recognize the United States. 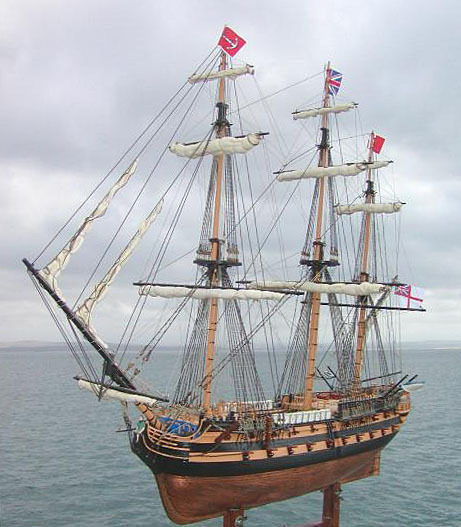 An improvised Serapis flag was secretly entered into the Dutch records to avoid the charges of piracy. Serapis and her consort Countess of Scarborough were later declared as French captures. Although the two British vessels had lost the battle, they had succeeded perfectly in protecting the very valuable convoy, and both captains were well rewarded. The French commissioned the Serapis to a privateer named Roche who planned to use the ship along with the British in the Indian Ocean. 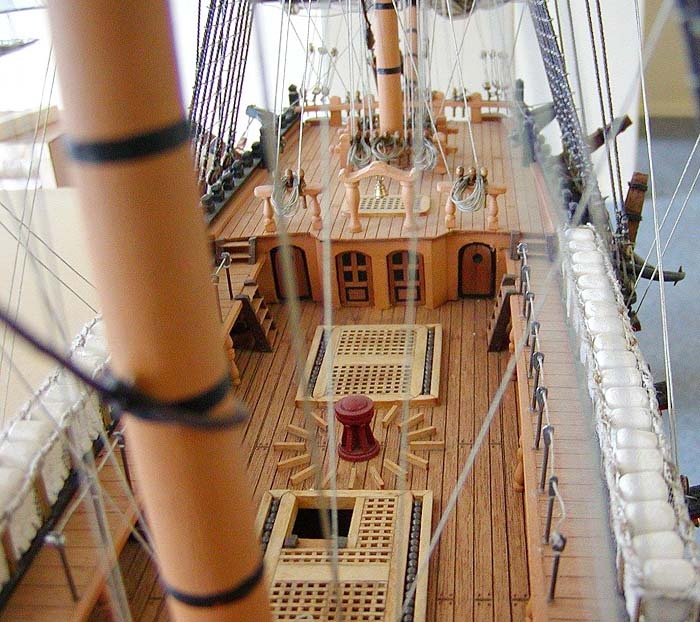 However, in July 1781 the ship was lost off the coast of Madagascar when a sailor accidentally dropped a lantern into a tub of brandy. The crew fought the fire for two and one half hours, but the flames eventually burned through the spirit locker walls and reached a powder magazine. The resulting explosion blew the stern off the ship and the vessel sank. The remains of the Serapis were located in November 1999 by American nautical archeologists Richard Sweet and Michael Tuttle.